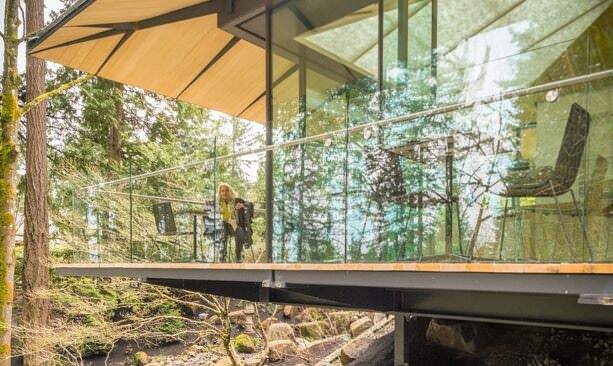 Sitting on a bamboo seat at the Umami Cafe — part of the Portland Japanese Garden’s recent renovation and expansion — it’s easy to feel like you’re floating in a glass tree house, amidst the wooded hillside of Washington Park in Portland. The bright, airy cafe is a rejuvenating place to enjoy traditional Japanese tea service along with locally sourced sweet and savory treats. But that’s just the most dramatic part of the garden’s recent reopening after a brief closure. The Cultural Crossing renovation and expansion is its first since its opening to the public in 1967. Other new additions include a cascading waterfall entrance, a bonsai terrace, a tiny “vignette” garden, a giant castle wall and a gorgeous new gallery and education center that will house workshops, demonstrations and classes all year-round. You’ll will want to take time to enjoy Umami Cafe, the only place in the United States to sell tea from the famed 160-year-old Japanese tea shop, Jugetsudo. The shop is renowned for its exquisite teas originating in the highlands of Shizuoka near Mount Fuji, and its specialty is matcha, a shade-grown green tea whose leaves are harvested by hand, steamed and then stone-ground into a fine powder. While it’s an acquired taste, matcha is worth trying at least once in its most basic form, the powder mixed with water and whisked into a frothy bright green foam, served in a large bowl. The subtle bitterness of the matcha pairs well with sweet flavors, like mochi ice cream or a traditional Japanese confection of red and white bean paste. 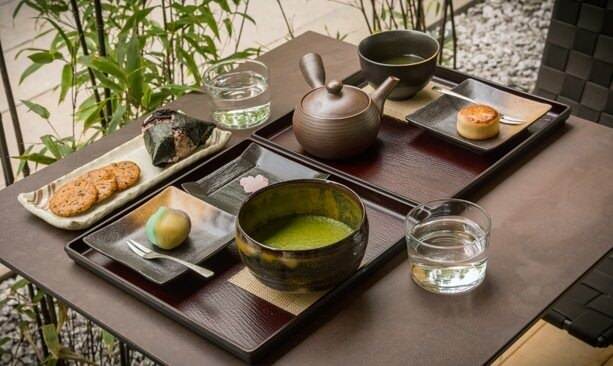 Other types of tea come paired with sweets as well as savory small bites such as yakitori-style fried rice and onigiri — sticky rice balls wrapped in seaweed — also available for purchase a la carte. 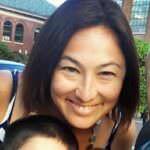 As per Japanese custom, the cafe is a gratuity-free establishment; any tips go directly to the garden, a nonprofit organization. Just outside the cafe’s doors is the new Cultural Village plaza, where you can see a 400-year-old bonsai tree at one corner and pick up a Jugetsudo tea set in the gift shop just across the way. The gift shop leads into the gallery, which through May 21, 2017 features the tea bowls and calligraphy work of Hosokawa Morihiro, an accomplished artist, calligrapher, painter and poet who just happens to be a former prime minister of Japan. An 18th-generation descendant of samurai, Morihiro retired in 1998, at age 60, to become a formally trained artist. On May 7, 2017, the garden will celebrate Children’s Day, a major holiday in Japan, with taiko drummers, koi flags, a scavenger hunt and other activities. 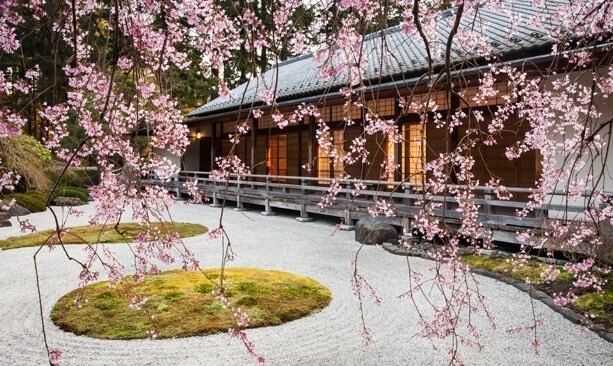 Still other events this spring and summer will include a koto harp demonstration, lecture by landscape architect Ron Herman, maple pruning workshop and kabuki Art in the Garden exhibit.